From a medical point of view, the ancient Egyptians used olive leaves as a first aid. Olive leaf was a symbol of heavenly power by the ancient Egyptians. Besides olive leaves were used in the mummies of the pharaons. In the 1800 , the syrup from the olive leaf was used as a febrifuge. In subsequent years, green olive leaves were used as an effective treatment against malaria. Modern medicine has discovered rather late in the usefulness of olive leaf. They were first used in 1995, preliminary results were very positive. 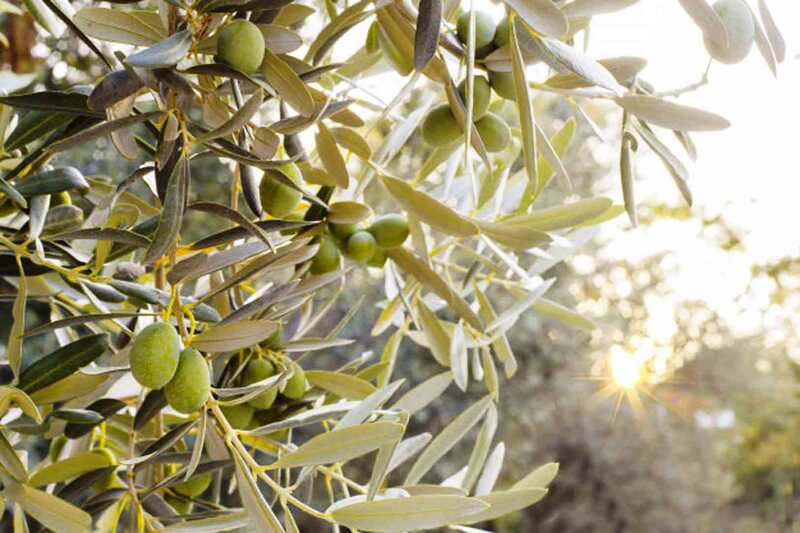 Studies have found that, in the olive leaf contains 101 substances, and one of the active substances is Oleuropein. This substance protects the wood from external factors, renews the cells, and protects the environment. Olive leaf strengthens the immune system, increase resistance to have antibacterial properties and supports the body in fighting the virus. Olive leaf extract is widely used in the cosmetic sector, creams, shampoos, also used in food for children, medicines with antibacterial properties, and as additives in animal feed. These results indicate that olive leaf is a great hope in many diseases. American Cancer Research Institute notes that in the 21 century olive leaves has a big effect as antimicrobial and antiviral agent. On this subject, published 69 books, more thousands of articles, magazines and more. Antimicrobial EffectAntimicrobial effect of olive leaf tea is consumed as an antimicrobial action, in the olive leaf is oleuropein acid. As mentioned before, the acid elenolik has high antibacterial effect. Thus, the leaves are microorganisms that are resistant to antibiotics, and that is why many diseases are eliminated naturally. Antioxidant EffectAntioxidant effect of oxygen in the air which we are breathes, causing the body's free radicals and toxic substances. Examples of the harmful effects of oxygen is shown, when fish are not in the water and the rust on iron. Antioxidants provide neutralization of substances, which appear in the body as a result of chemical reactions or smoke cigarettes, alcohol, dirty air, etc. With the help of antioxidants can be prevented occurrence of diseases, control hormonal balance, and provides a delay of the aging process. Olive leaf extract has high antioxidant activity. This effect is shown in the table with other phenolic compounds oleuropein that occurs as a result of a synergistic effect. In the vitamin C and E have at 2.5 more antioxidant activity. Coronary Vessels EffectCoronary vessels effect, during the study with involving patients has revealed that oleuropein has a vasodilating effect, reduces blood pressure and has antiarrhythmic properties. It also concluded that LDL lowers cholesterol. Using olive leaf tea for heart disease were positive results. Laboratory and clinical studies have shown that olive leaf tea is effective in heart failure and blood vessels. Hypoglycemic Effect (Regulates Blood Sugar Levels)Hypoglycemic effect (regulates blood sugar levels). The new studies with involving patients revealed that the substance being oleuropein in olive leaves has hypoglycemic effect and reduce the high blood sugar levels. Effective in the treating infections and upper respiratory tract. Fibro malaria, herpes, candidacies salmonella, streptococcus and streptococcus zoster.